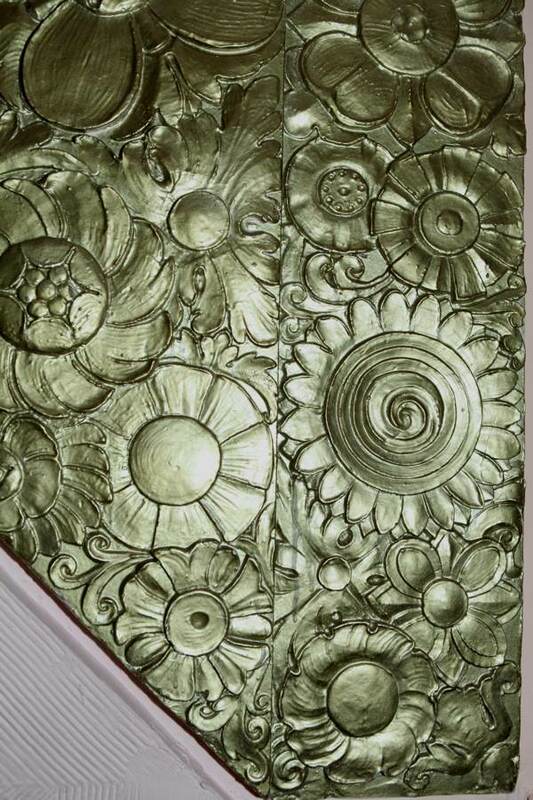 It is a source of great joy to Melvyn Reeves that he has always lived within a few streets of where he was born in Stepney and that, at the centre of his personal universe in the East End, stands a gleaming Art Deco palace known as The Troxy. 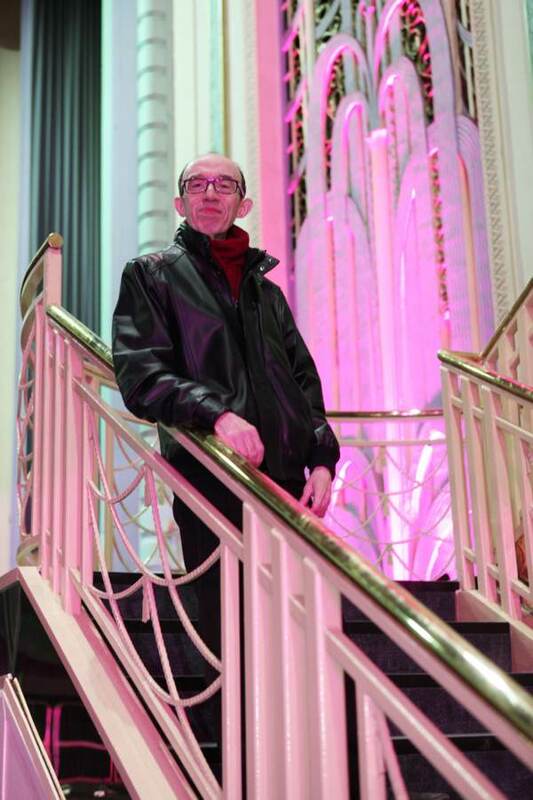 In recent years, the magnificent Troxy has been restored as a flexible events space and its ceramic frontage cleaned, so that once more it presents a shining face to Commercial Rd, creating an unmissable opportunity for Melvyn to risk a return visit to the fabled world of his childhood delight – and he generously took Contributing Photographer Colin O’Brien & me along too. Feeling as small as ants, we walked forward beneath the balcony to reach the front of the stalls where the full height of the space became apparent, flanked with elaborate plasterwork motifs of waterfalls soaring on either side and theatrical sweeping staircases leading up towards the circle. “I’ve never been up there,” Melvyn admitted to me in a whisper, peering up into the gloom where rows of seats receded seemingly to infinity, “I’ve always been afraid of heights.” Emboldened to overcome this aversion, Melvyn and I scaled the stairs, ascending carefully like mountaineers to the top, so that Melvyn might survey the totality of his beloved Troxy and appreciate details of the plasterwork close up – such as the dense golden floral border, encrusted with daises and sunflowers, and the lisson figure of Terpsichore frolicking. 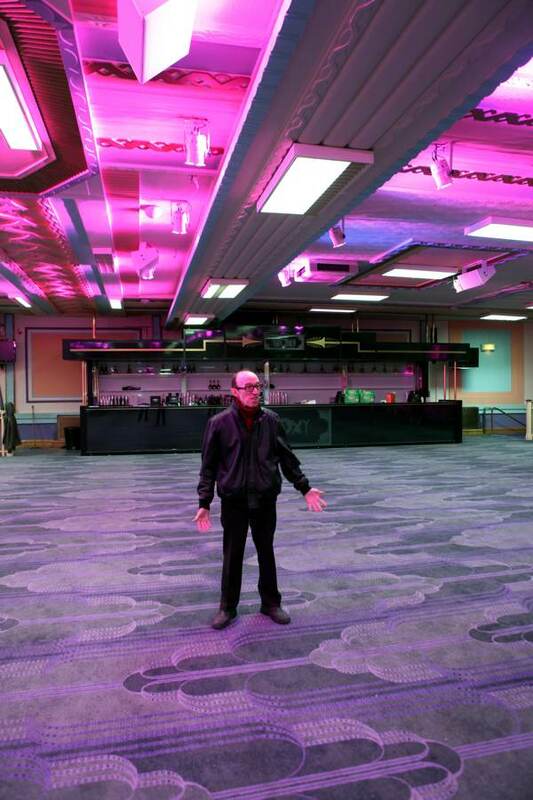 Melvyn remembers the years of decline when the Troxy operated as a bingo hall in the eighties. “My mother used to see all her neighbours coming here and say to me, ‘They’ll be short of rent money next week,” he confided to me, rolling his eyes in disapproval. 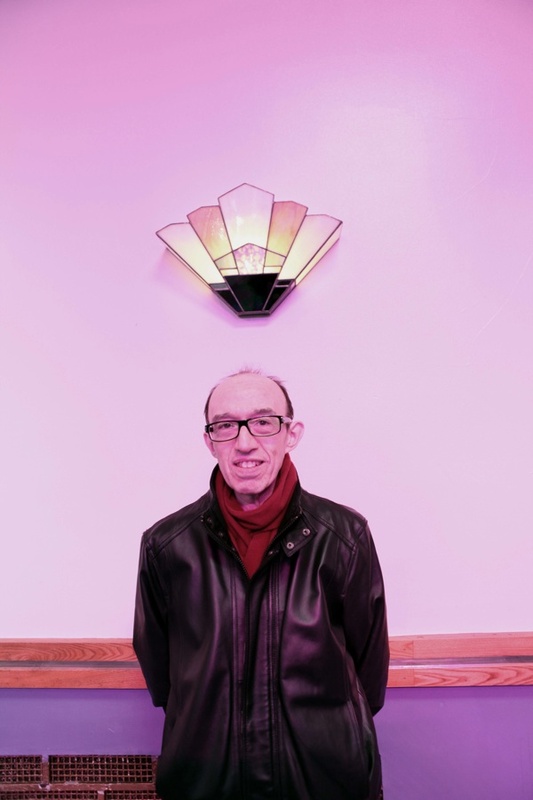 Despite feeling more than a little proprietorial, Melvyn gave his blessing to the restoration including a colour scheme that casts the auditorium in tones of pale blue and lilac, highlighted with gold, conjuring the effect of a tropical undersea world. 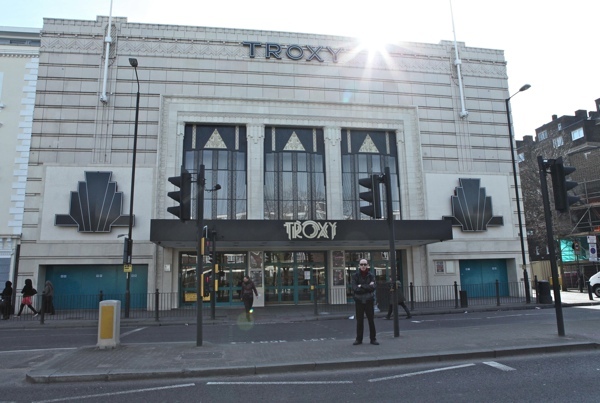 “Whenever there is a fight night, I always see the boxers and their entourages come out of Limehouse Station at lunchtime and march down to the Troxy,” Melvyn informed me, ever-observant of all activity in the neighbourhood that he knows better than anyone else. 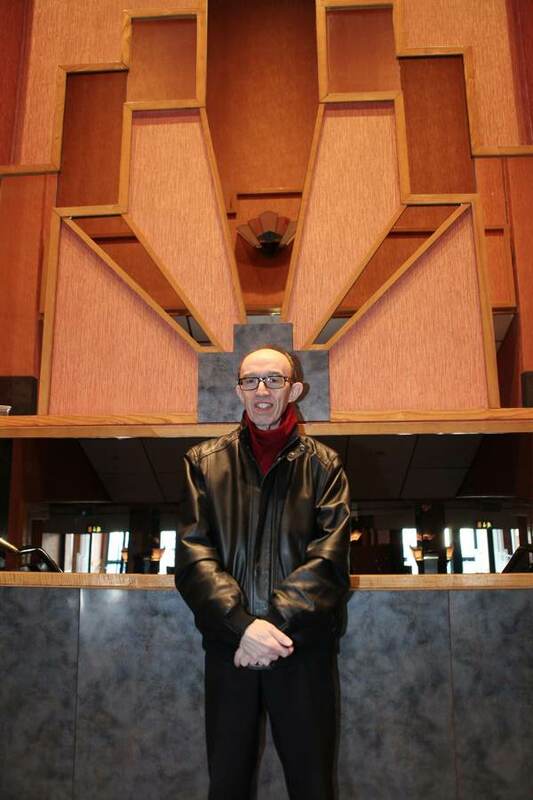 It is not often in life that you can go back to a childhood location and not be disappointed, but Melvyn’s comment was indicative to me that now he has made his personal inspection of The Troxy and found it to his liking, he will return regularly. Every time I pass the TROXY it always seem’s to look strangely out of place now and anyone who has no memory from the past of this area could these day’s be forgiven for wondering why anyone would choose to build such a grand auditorium in what is now a slightly “off beat” location, but that said, such is the impressive appearance of this building that one only need’s to stand outside this magnificent monument to the golden age of cinema and it is easy to visualize the glamour and excitement that this building created for the thousands of East End people who went there during it’s hay day, it’s currant use may not be to the liking of people of a certain generation, (like myself) but at least it is still being kept “alive”, and I for one am very pleased to at long last see money being spent on preserving this important East London landmark that even today many people (myself included) still look back on with a great deal of affection and happy memories from the East End of the past. But, thanks to a mixture of gross incompetence & a few brown enevelopes, the council are doing …. nothing. Except, of course, allowing their developer friends to build a new cinema, right next door! 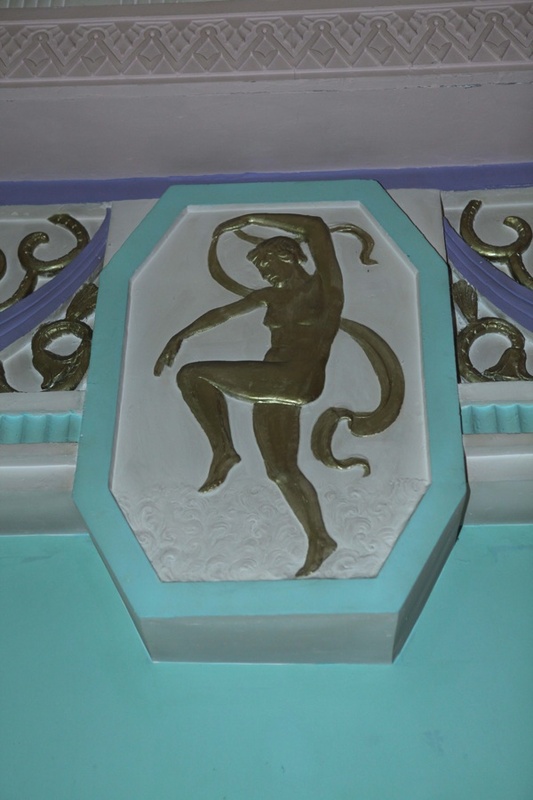 A very impressive ART DECO childhood place, which is very rare! 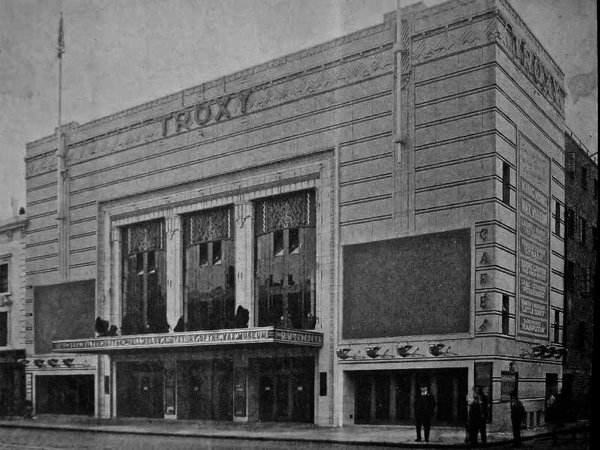 It’s so nice to see that the Troxy has been restored to its former glory rather than being demolished, which is so often the case in Tower Hamlets these days. It looks wonderful. Thank you for telling this story Gentle Author. Wonderful movie palace. The carpet alone has an incredible art deco pattern. Makes me miss the ones that were here that have been torn down. And thank you as always. This building has had so many different incarnations. It’s marvelous that it has survived in one glorious piece! Love what they have done with it and appreciate all the money they have spent on restoration, but I’m afraid all the foyer decor and lamps only dates back to the 1980′s and the Troxy’s life as a bingo hall. 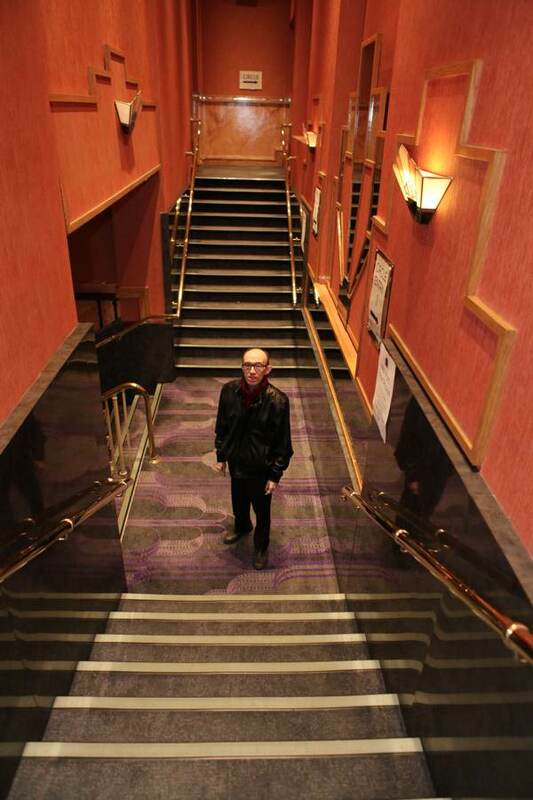 George Cole’s original foyer was double height with a balcony and rather classical in style. The owners hope to recreate as much as they can in the near future, but it will be too expensive to rip the false ceiling out. The carpet is new too, but wonderfully thay have styled it on the wall ‘fountain’ designs – which can’t have been cheap. 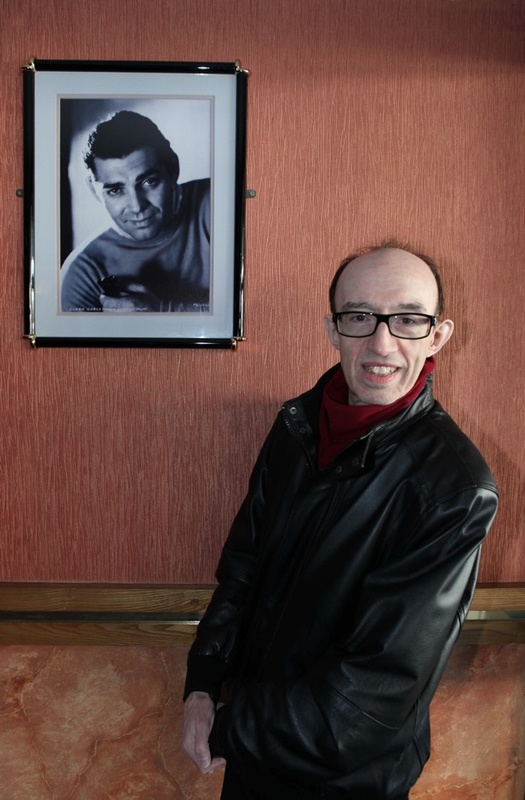 Denis Nordern, the television presenter and writer used to be the manager of the Troxy as well as a few others in the same chain (all at the same time). I think he was still only a teenager when he ran it. It is oh so beautiful. 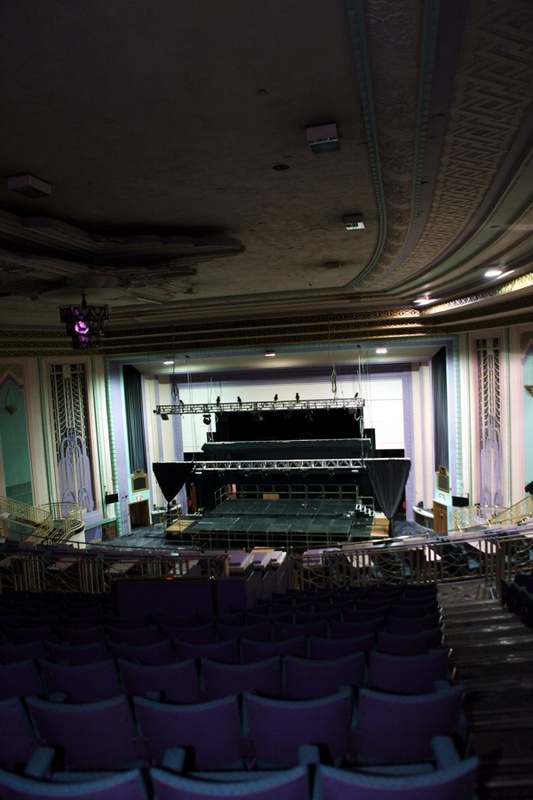 I love Art Deco, wonderful to see that the Troxy has been restored and not destroyed. 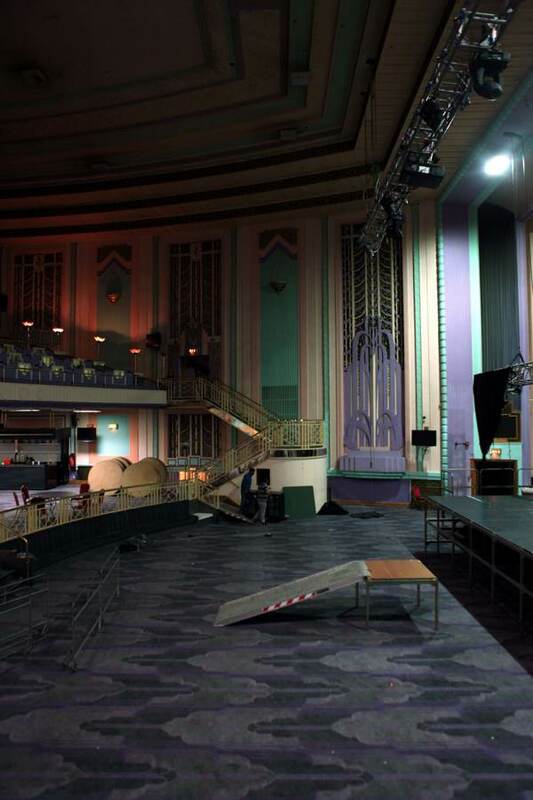 I used to love going to the Troxy. The show usually lasted about 3 hours or so. Sometimes the mighty organ would arise from the depths and we’d have a sing a long. My last visit there was when i was doing my National Service back in 1954.